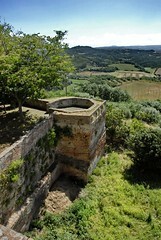 The first writings of Montefoscoli date back on the year 1000, when the castle played a fundamental role for the military leaders and troops in the conquest of Etrurian territory. Later the castle offered an impregnable location during the acrimonious battles between Pisa and Florence. Then as now one enjoys an unique view over the whole valley from the site of the former fortress . 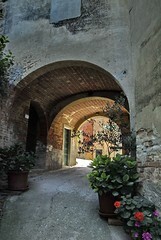 Montefoscoli is located 182 meters above sea level and is almost the first real hill of the Era’s flood plain. In the Middle Ages the lovely foothills offered a significant location for rescuing from invaders, epidemics and hazards. The medieval village clings sweetly to the ridge. The modern village lies at the village entrance, whereas the medieval part extends on the hill. At the point where today the church stands, once the fortress was located above the breathtaking valley. 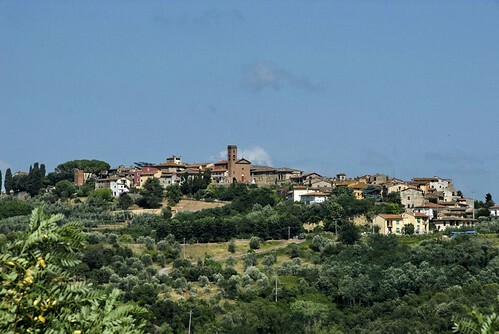 Every year from April 25, to May 1st, Montefoscoli celibrates its famous ham festival “Festival del Prosciutto”. There are excellent ham, pastries, strawberries, cheese and the top wines of the area. Every year on Saturday of the second week of July and a day later on Sunday in Peccioli a lyrical concert takes place in memory of the famous tenor Mario Filippeschi (1907-1979) from Montefoscoli. Filippeschi was a great tenor with a strong, theatrical voice. He sang together with the greatest performers of his time in the most prestigious theaters of the world. Filippeschi was born on June 7, 1907 as the fourth son of a farmer and died on the morning of December 25, 1979 at his home in Florence. 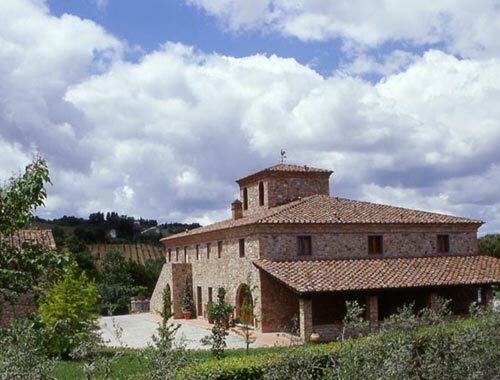 There is probably no better place for authentic farmhodidays in Tuscany than the Valdera: fabulous landscapes, medieval towns, traditions and genuine hospitality.